We perform all endodontic procedures using a dental operating microscope. The operating microscope greatly enhances a clinician's ability to view the tiniest details inside a patient's tooth. By magnifying vision up to 25x that of the naked eye, the dental microscope is useful in both diagnosis and treatment. Research demonstrates better outcomes compared to treatment without vision enhancement or magnification. 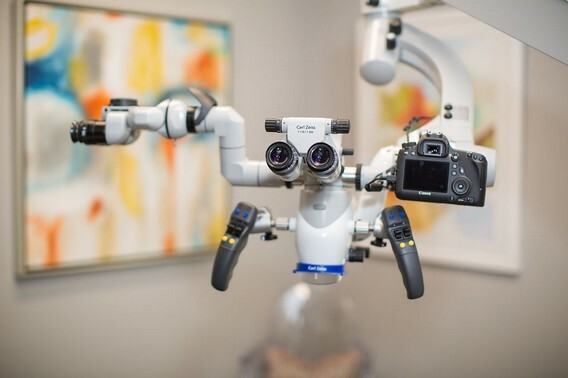 Microscopes aid in finding hidden and accessory canals, locating and removing separated instruments, preserving more tooth structure, and improving ergonomics for the clinician. Cone Beam Computed Tomography (CBCT) is an innovatied medical imaging technique that provides endodontists with three-dimensional views of the patient. CBCT greatly enhances the endodontist's ability to diagnose, evaluate, treat and care for patients. 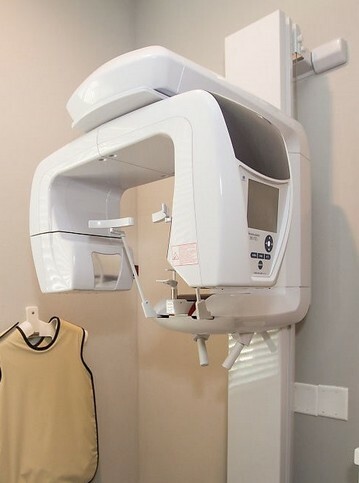 During a CBCT scan, the machine rotates around the patient, capturing images using a cone-shaped X-ray beam. These images are then used to construct a 3-D representation of the patient's teeth. 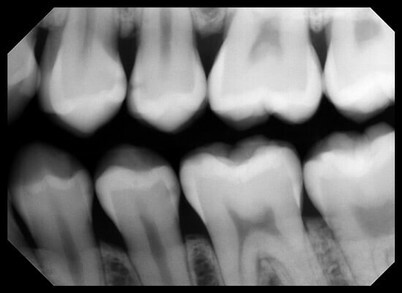 Digital radiography provides 80% reduction of radiation exposure compared to standard dental film and improves identification of dental anatomy. Using digital radiography improves the patient's ability to understand and follow treatment, as well as enhancing collaboration with referring dentists. 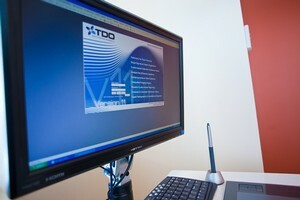 Our office utilizes an advanced and totally secure electronic health record system called, The Digital Office (TDO). Our web registration system allows you to enter information at your convenience, from the comfort and privacy of your home or office. In addition, the software allows us to diagnose and treat patients more efficiently and run our office more effectively. This paperless system also allows for more effective, thorough and timely communication with your general dentist.